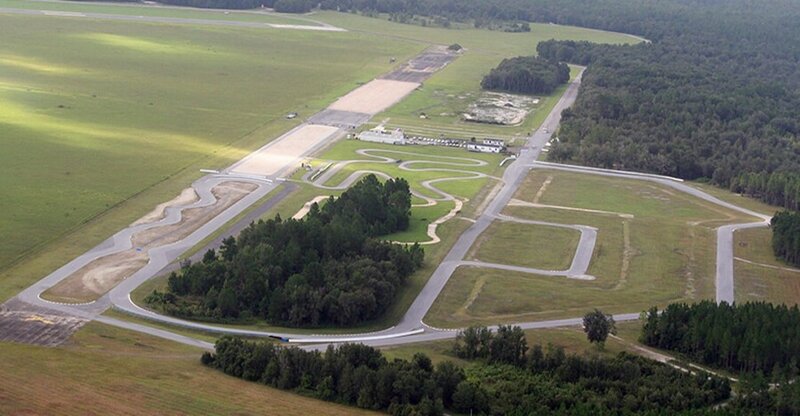 Come fly your plane into The Florida International Rally & Motorsport Park (The FIRM) at Keystone Heights Airport. The FIRM provides drivers, and spectators, the most unique and diverse motorsport facility in North America and Drivers Club Members can enjoy exclusive benefits for Open Track Day Events! The motorsport park includes a 420 acre off-road playground, rally stages, and a dynamic 1.6-mile race track; with esses, and hairpin turns to challenge even the most experienced drivers. The combined tracks and trails create unlimited configurations totaling over 20 miles of driving bliss! The FIRM rents their tracks to race teams, hosts open track days, teaches rally off-road, ATV/UTV and HPDE driving, and provides the perfect venue for corporate events! Executives bring teams here to take Seal training tactics back into the board room to crush the competition. The FIRM is home to RallyPro Performance Driving School and the International Security Academy (ISA). ISA provides tactical training, advanced Force-on-Force driving, and a 360 live-fire range with roll-over simulator. ISA, relies upon the RallyPro Performance Driving School to teach units how to safely extract assets, at high-speeds and across varying terrain. 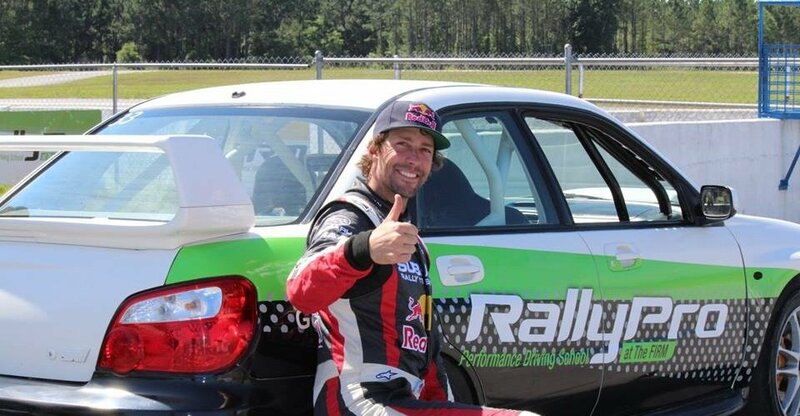 All RallyPro instructors are most diverse technical drivers in the world; uniquely experienced in vehicle dynamics, for high-speed, and high-risk driver training. The FIRM provides mission critical scenarios across surface changes at high-speeds. The weight transfer that occurs from surface transitions when going off-road, then back onto the tarmac, is the number one cause of fatalities for untrained drivers. RallyPro instructors teach advanced vehicle management skills that protect assets and saves lives. Fly your Plane in for a day of driving bliss! The FIRM at Keystone Heights Airport offers drivers open track days in your own car on our 1.6-mile race track. We offer weekend and weekday track events so become a Driver’s Club Member now to get more track time at one annual pass rate! The FIRM offers more seat time, more lapping and private instruction with highly trained and personable RallyPro Performance Driving School experts! The FIRM at Keystone Heights Airport offers exceptional service, a warm team, flexibility, and privacy, in our secure gated facility. Our large paddock area, open space, and discrete location make us the perfect training and testing facility in a highly secure environment. This is why Tier-1 forces have been using our facility for over a decade to perfect their mission essential task lists! Race teams like Subaru, Pelfrey, Pabst, Juncos, and Murillo test here. Clubs such as NASA Rally Motorsports, SCCA, and Eibach hold events here. They all love The FIRM experience. 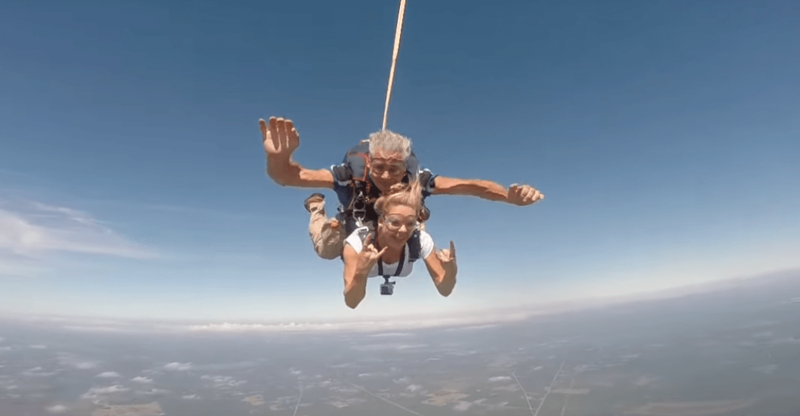 The FIRM at Keystone Heights Airport offers the ultimate, interactive, adrenaline pumping, totally customizable corporate experiences. We train Tier-1 forces so you can take the same skills we teach our elite forces into the boardroom to crush market obstacles. If you want to treat your top clients to a life-changing experience, or your top producers to a company event they are excited to attend, then choose your next team building experience now! The FIRM at Keystone Heights Airport is the perfect venue for any Special Event. Birthdays, Weddings, Bachelor(ette) parties, association meetings, political fundraisers, mixers, private parties, and corporate events – we’ve hosted them all! We have tents, tables, chairs and event planners who specialize in helping tailor each event to your event goals. Have fun. Raise money. Wow your customers. Create lifetime memories! We can make your next event engaging, memorable and alive in the minds and hearts of all participants for years to come! Click the following link to learn more about our events planning and facility rental. RallyPro Performance Driving School at The FIRM cares about the safety of your teen driver just as much as you do! In this course, your teen will learn crisis aversion, defensive driving, vision management, how to safely manage surface changes, and how to drive a manual car. Most importantly you will get peace of mind that your teen now has the confidence that comes with learning advanced driving skills from a RallyPro Performance Driving School instructor. Click the following link to learn more about our teen driving courses. The RallyPro performance road racing courses at The FIRM offers the thrill of a lifetime. No traffic lights. No stop signs. Our highly trained RallyPro instructors at The FIRM, have perfected their skills with years of training to offer you the ultimate performance road racing experience. Our Instructors use their diverse competitive background to elevate your driving experience. The FIRM offers a 1.6-mile road course to explore and push the limits of your driving skills, at one of the most diverse and challenging motorsport parks in North America. If you want the thrill of high performance, to discover the secret to dropping that elusive last second from your lap time or have your desire set on competitive racing, then our Road Course Driving School at The FIRM will exceed your expectations. RallyPro instruction offers the ultimate car control, to push the limits of driving, at high speeds, and on loose surfaces. Rally driving courses give novices the confidence for ultimate car control and race drivers the competitive edge. RallyPro courses offer One-to-One instruction, which means more seat time, personalized instruction, adaptive learning and immersive hands-on real-time training. With over 420 acres of customizable course layouts, 6 rally stages, 1.6-mile road course, karting track, skids pads and trails, The FIRM can create unlimited track configurations to pressure test all your skills. It’s fun. It’s technical. It will improve your confidence and driving technique. The RallyPro off road driving courses at The FIRM are a ton of fun! The FIRM features a diverse playground for every skill level. Our rock garden provides uphill, downhill and side tilt articulation obstacles designed to master vehicle control, and left foot braking, on uneven surfaces. The FIRM also has miles of diverse courses across the sand, through wooded trails, and wet marsh areas perfect for winching and recovery drills. The RallyPro curriculum is designed to improve 4×4 skills, vehicle capability, articulation, and proper techniques to maneuver and overcome off road driving situations. The International Security Academy, ISA, has trained our nation’s elite Special Operations Forces from all branches and agencies (SOCOM, CANSOF, MARSOC, JSOC and the FBI to name a few). 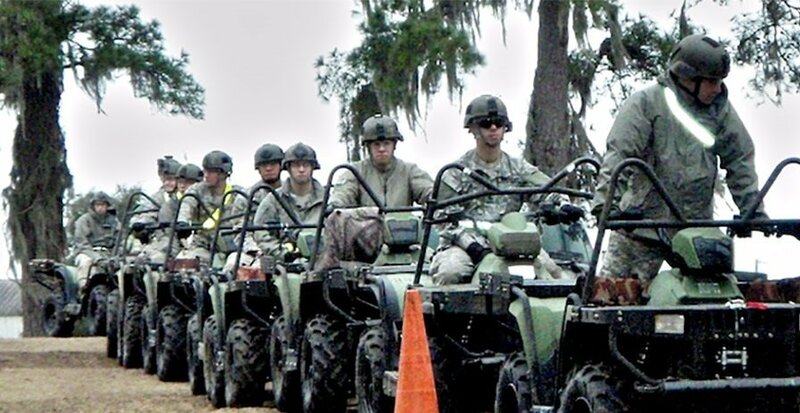 The ISA cadre has decades of experience in high-speed, high-risk performance driving, ATV/LTV, SUV and off-road vehicle dynamics along with extensive experience in firearms. RallyPro Performance Driving School provides high risk, driving survivability to our military division; International Security Academy (ISA). ISA is proud to train our nation’s most elite forces. Special Forces and Tier-1 Teams fly into the FIRM at Keystone Heights Airport; a certified drop zone for both static and free fall jumps, adjacent to Camp Blanding. Mission-specific terrain includes asphalt, sand, lime rock, dirt, mud, water features, tarmac, hills with irregular obstacles, and on and off-camber turns. The FIRM at Keystone Heights Airport provides ISA with access to 420 acres and 20 miles of configurable training courses, a 1.6 mile race track, skid pad, expansive firing ranges, a Configurable Urban Village (CUV), and a military approved Armory. We are located approximately 49.78 miles from the Jacksonville International Airport (Jacksonville, Florida) and 16.86 miles from the Gainesville Regional Airport (Gainesville, Florida). ISA provides tactical firearms training to prepare units for mission critical scenarios. ISA has six firearm ranges which can be accessed from our road course and rally stages to allow engaging 360 degree targets from vehicle platforms. ISA instructors are highly trained in advanced firearm instruction using multiple weapon systems, close quarters combat (CQC), crew served weapons systems, and armored protection systems. ISA tactical training provides complex training iterations to prepare teams for mission training objectives.